Our last meeting of the 2015-2016 season will take place on a beautiful terrace at lunchtime. It will be a truly special end to the CCR Book Club season and an opportunity to plan our summer reading! 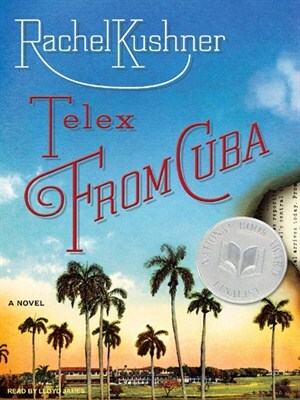 At this get-together we'll be discussing "Telex from Cuba" by Rachel Kushner. The Guardian review calls it "epic and enjoyable: the style is lush and precise; the parties and cookouts, the drinks and affairs are beautiful and poignant, full of the pleasures of wealth overshadowed by loss." Where: Piazza Cavour area -- exact address sent to confirmed participants by email.